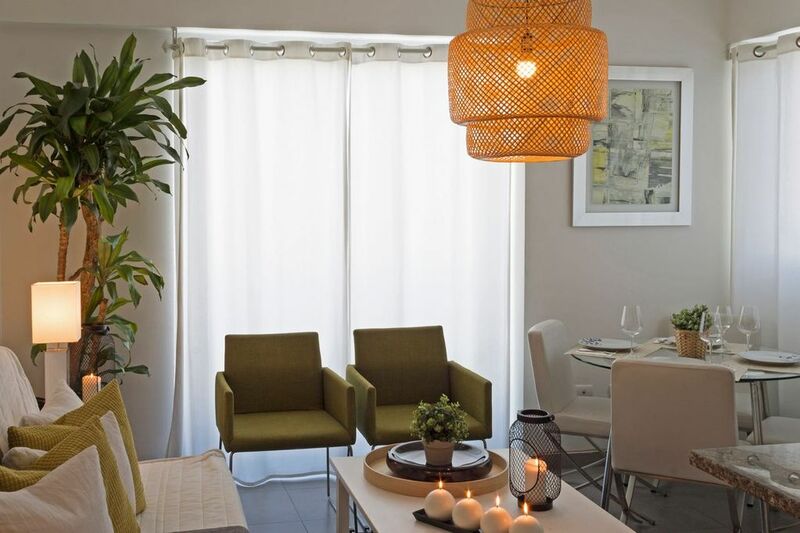 This apartment is very comfortable and well decorated that will make you feel at home when you visit the city or want to combine business and hollydays while traveling to Santo Domingo. It has 1 private bedroom with flat TV, 2 bathrooms, equipped kitchen with breakfast bar and pantry, compact living-dining room with flat TV and one covered inside parking for your vehicle. The area feels very safe around the apartment and has security door at the entrance with control remote front gate, intercom and security 24/7. The bedroom has a comfortable queen size bed and 2 bedside tables, air conditioning and walking closet. The kitchen is open and fully equipped, has 1 fridge, 1 stove with oven, microwave, dishes for 4 and all kitchen utensils needed to spend unforgettable days. 1 washer-dryer tower in one of the bathrooms. The balcony of this apartment will gives you a very nice and romantic view of the city!